Hart Estate Agents is delighted to be a major sponsor of The Friendship Walk 2012. The event, to be held on 9 September 2012 in Sydney’s eastern suburbs, encourages community members to walk in solidarity with individuals living with disability. 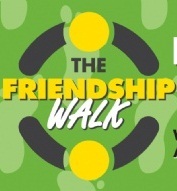 It is a major fund raising event for the wonderful organisation, The Friendship Circle. We are thrilled to welcome Annie Morris to Hart Estate Agents. Annie is our new Receptionist & Office Administrator. Originally from the United States, Annie has had a great variety of interesting roles prior to joining our office. Annie replaces Pru McAtamney, who has moved into a property management role. We had a fantastic onsite auction at 14a Wilfield Avenue, Vaucluse today. There were 9 registered bidders for the modern 4 bedroom home, and the competition was fierce. The property sold under the hammer for a terrific price, which was well over the reserve. In the current market, it was great to see such a competitive auction with so many potential purchasers. It goes to show that attractive, well-priced properties will always be popular. Contact Michael Jackson on 0413 441 333 or Alex Hart on 0418 245 018 for more information. Hart Estate Agents is proud to be a Community Partner of Rose Bay Public School. As a Community Partner, Hart Estate Agents makes various financial and other contributions to the school, including a $5,500 financial contribution that will go directly towards new resources in the library.